The Orchard Valley Quilters Guild contributes to the community by donating hundreds of quilts annually to organizations and individuals in need of warmth and cheer. 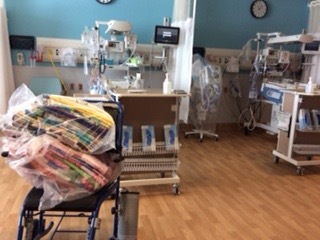 Donations are regularly made to the Neonatal Intensive Care Unit at Kelowna General Hospital where each premature baby receives a quilt when he or she graduates from incubator to bassinet. 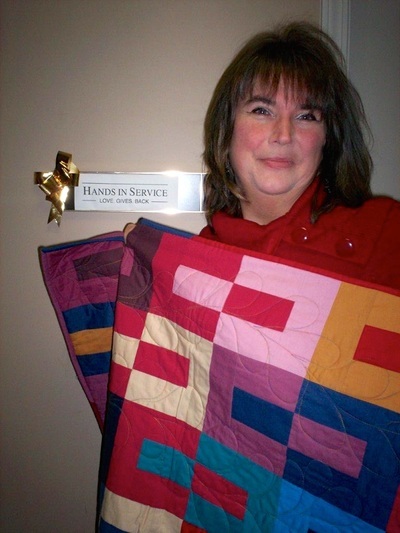 We are currently replacing worn quilts at the Central Okanagan Hospice. 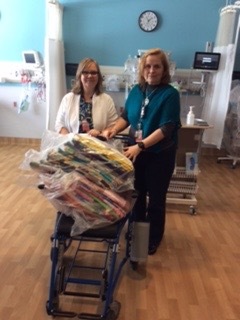 Each child in the Kids Count receives a quilt upon admission to their program, and over the past two years we have donated dozens of sunhats. 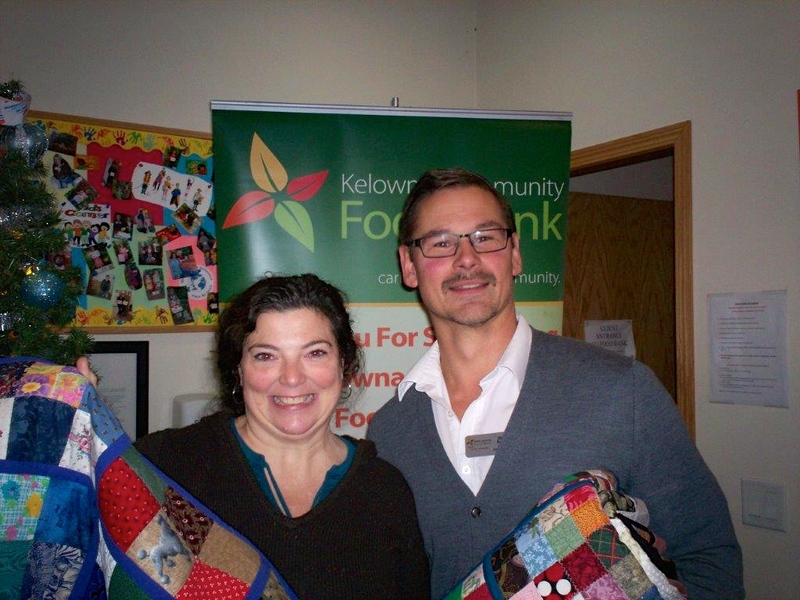 Tiny Bundles at the Food Bank and the Salvation Army also receive quilts. 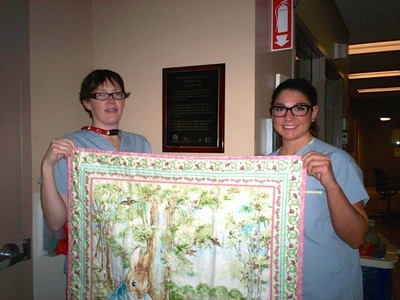 Kitty quilts are welcomed by the SPCA. In addition, our members have enthusiastically made hundreds of Christmas stockings over the past years. Through our High School Outreach Program, we have been able to greatly increase the number of donations we make each year. The Donation Committee works hard to assemble quilts from generous donations of fabric. We purchase batting for most quilts. Our members are brimming with talent and generosity, and willingly offer their time and enthusiasm to our many donation projects and sewing days. 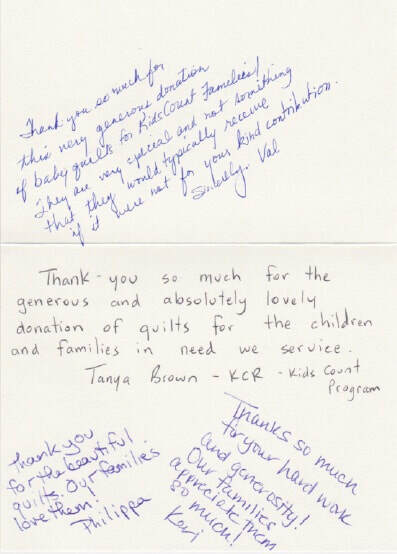 Here is a gallery of some of the recipients of our donation quilts. (Click on image to enlarge; use side arrows to navigate.) 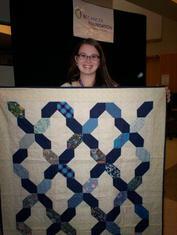 See our Show and Tell page for more pictures of donation quilts.